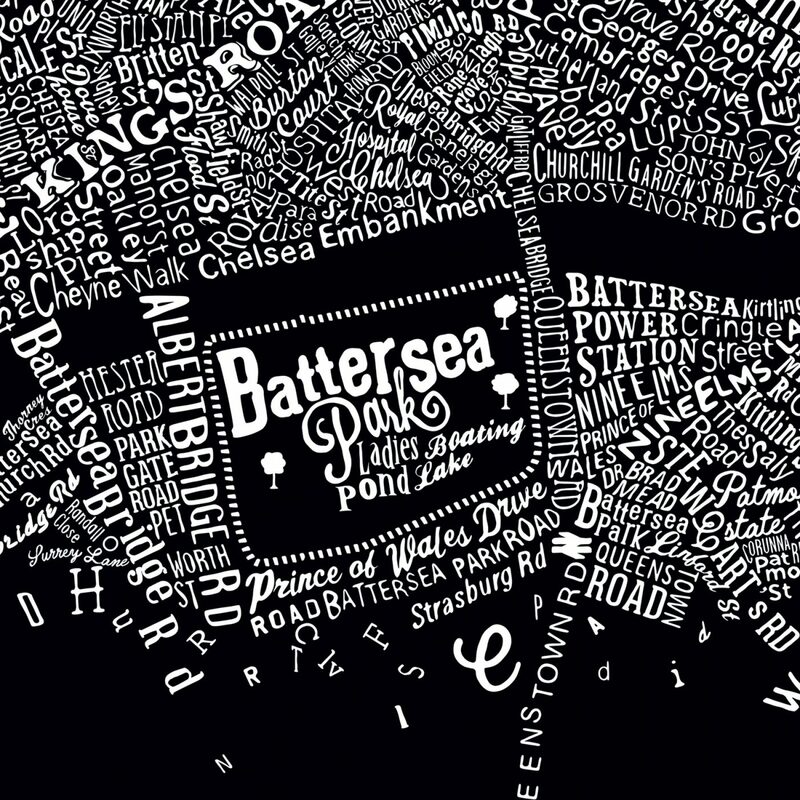 Every Londoner has their favourite stomping ground. That little corner of the city that feels theirs. That you get to know like the back of your hand. 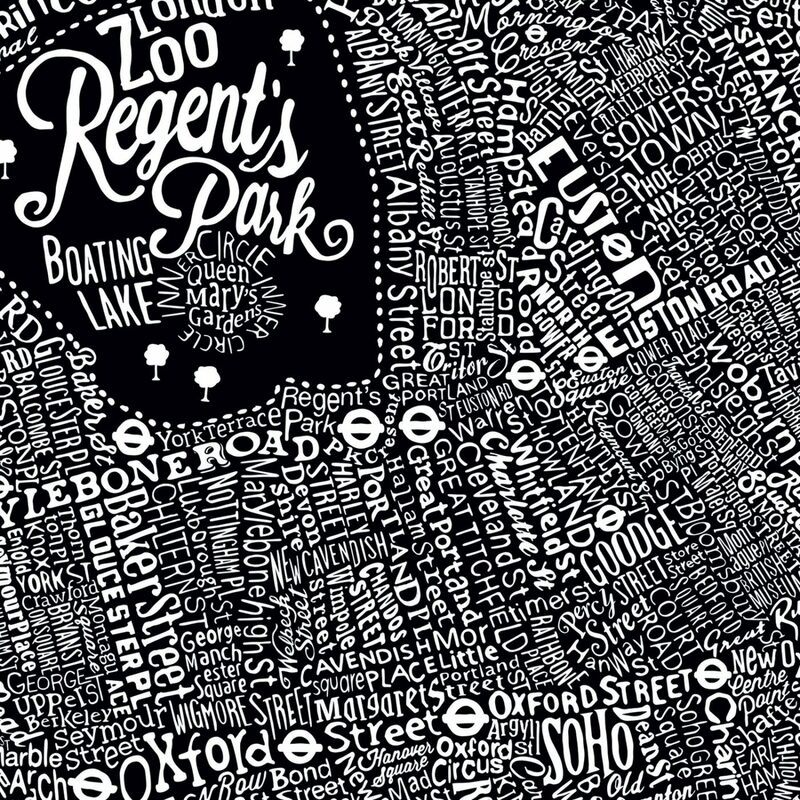 This new art piece is a dense, typographic street map of Central London. Which was a whole year in the making. 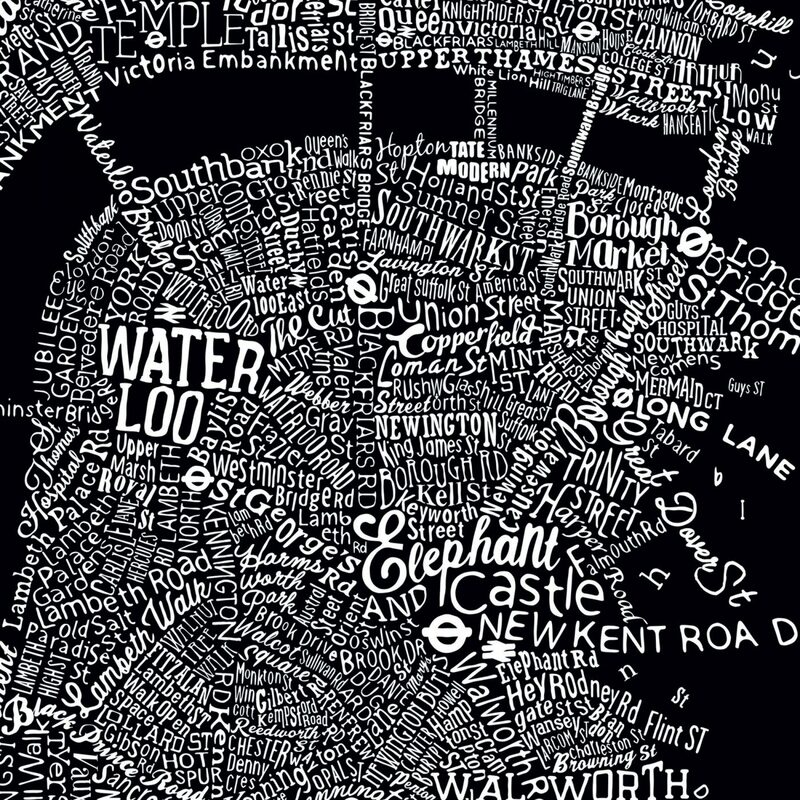 A painstakingly intricate and very almost accurate* hand-crafted type map of our beloved capital. Which is designed to actually be navigable. Find the road you live on, the street you hang out in or the patch you’re itching to move to. 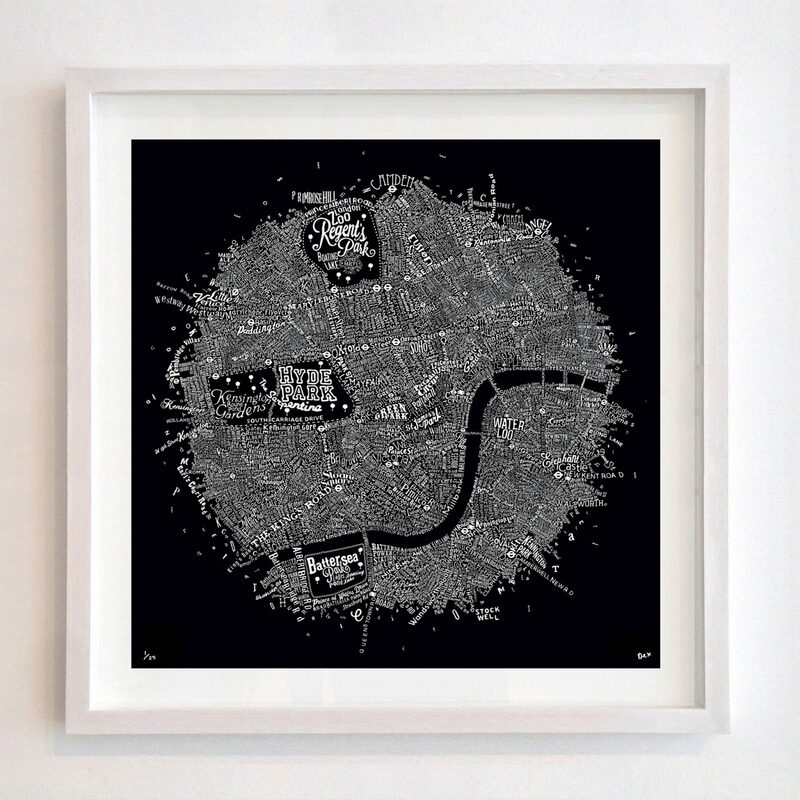 Use it to plot a new cycle route to work, or plan a day’s riverside hopping along the curved sweep of the Thames. * The artist cannot be held responsible for any miscellaneous misdirections when following this map. London’s sheer density means he couldn’t include every single cut through and side street. So apologies in advance for any omissions. Each print is signed and numbered by the artist, Dex. Giclée print on fine art archival 315gsm paper. Prints are carefully wrapped in tissue paper and packaged in a sturdy postal tube, shipped recorded delivery. 50cm by 50cm. Edition of 25. 60cm by 60cm. Edition of 40. 70cm by 70cm. Edition of 30.